Office managers in London have a never-ending list of responsibilities and many struggle to run their facilities smoothly. With the demands of office staff constantly changing and the building developing new challenges as time passes, it can be hard to stay organised. In any enterprise that is growing, more and more demands will be placed on you. it is therefore worth taking a second to review how you are currently doing things and assess if any improvements can be made to stay better organised and make your job easier. Without a clean office, workers will soon start looking elsewhere for employment opportunities. Plus, a clean office has been proven to increase the productivity of employees. That is why it essential to get the right contractors in place who are flexible enough to meet changing requirements. Everyone knows managers are busy people, make sure you look at exactly what you’re getting from your current contractor, could you be getting more out of them and making more of your time? Linking back for one of our previous blog posts, “Benefits of a Clean Office Environment in Boosting Productivity” a cleaner office means less sickness and that means less people feeling sluggish or taking sick days off. Also shared surfaces such as telephones, photocopiers and other equipment will be clear of bacteria giving it no chance to spread. Nowadays offices are modernising and evolving to use greener cleaning products keeping not only staff healthier, but also delivering on your commitments to recycle adequately. Why settle for a contractor which does a fair job when you could hire one which makes workers proud to turn up to their office each morning? It might be time to revise that part of your business. However, one common objection to this shift towards cleaner contractors is often the price. 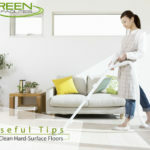 There is a misplaced conception that green cleaners are cheaper than others, but this is often not the case. For instance, here at Green Facilities we make sure we offer more value for the same price as other cleaning contractors. Green cleaning can improve air quality, as these products don’t release toxic fumes that harsh chemicals do. Though this isn’t the only reason that Londoners are breathing in polluted air every day, it can help improve the air quality of your office. According to work undertaken by King’s College London, some 2,411 hospital admissions a year in the capital are down to airborne pollutants. Make sure you know what your suppliers offer, are their packages flexible to best suit your needs? Can they manage multiple aspects of your office? For example, Green facilities covers everything from cleaning & recycling, to consumable office supplies and even office plant care! We will also be offering PAT testing in the near future. This is a massive benefit for busy office managers who don’t have time to interact with an endless list of specific suppliers, but just deal with a selected few. When it comes to money we all want value for our money. You want to make sure every pound spent is on a quality service that covers all ends of your office, relieving stress so that you in turn can be more productive. You have many things to manage, therefore you should feel confident leaving your supplier to do their job efficiently so you don’t have to follow them up all the time. Staying organised isn’t always easy, in the city things go a million miles an hour and you need to make sure that you keep up. According to MapCon, as a facilities manager you have endless responsibilities and keeping all of them under control ranks up there as one of the toughest challenges for people in your role. Your organisation style has to work for you as well as the people in your office. You should have one centralised location for things in the office such as files, supplies, electronics and more to keep things simple. Finding a way to get your colleagues onboard in keeping everything organised is the key to keeping everything in check as it will be easier to locate what you need and when you need it. This goes for online files as well, using a mutual code / way of naming particular files so that they can be searched for and located at the tap of a button. It is a cycle with a lot of little puzzle pieces, each being you and your co-workers. If all co-workers follow the new system and keep up their responsibilities, then you can remain confident that everything will work out flawlessly. Green Facilities Management has added another feather to its cap. Being associated with a premier organization feels great and rewarding. Yes, Green Facilities has become the corporate member of the reputed body for facilities management- BIFM. Hard work well paid! Green Facilities has come a long way as a professional industrial cleaning company. The British Institute of Facilities Management (BIFM) is the professional body for facilities management (FM). Founded in 1993, the organization promotes excellent solutions for facilities management for the benefit of practitioners, the economy and society. Supporting and representing over 16,000 members around the world, both individual FM professionals and organizations, and thousands more through qualifications and training. 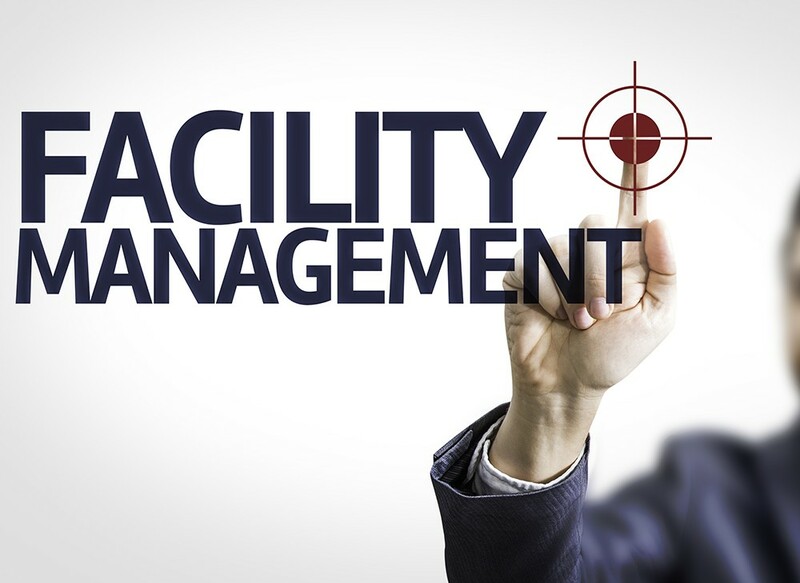 BIFM facilities management professionals are responsible for services that enable and support business. It covers management of a wide range of areas including: health and safety, risk management, business continuity, procurement, sustainability, space planning, energy, property and asset management. They are typically responsible for activities such as catering, cleaning, building maintenance, environmental services, security and reception. As a professional industrial cleaning company Green Facilities has been offering contract cleaning services, office and commercial cleaning for all industry sectors, operating across the whole of London. 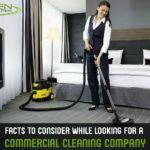 With 20 years of combined experience Green Facilities has built a reputation on providing superior cleaning services for a range of corporate clients. Quality control is a big part of how it maintains such a high standard of service. Every cleaning task is monitored very closely, maintaining a great customer feedback. What is there in industrial cleaning services that Green Facilities does not offer? It attends all industrial cleaning needs, by promoting and embedding professional standards in facilities management. Committed to advancing the facilities management profession Green facilities provides a suite of membership, qualifications, training and networking services designed to support facilities management practitioners in performing to the best of their ability. Being a Member of BIFM: What does it mean for Green Facilities? Being a Corporate member of BIFM will add many dimensions to Green Facilities services. Apart from inculcating competition, BIFM will help it raise its profile and spread awareness about its services within the FM industry, thereby increasing long term networking and sales opportunities.